The patient with status epilepticus has continuous or rapidly repeating seizures. Generalised convulsive status epilepticus (GCSE) is the most common form of the disorder and is a life-threatening condition that requires prompt medical management. Status epilepticus that does not respond to first-line benzodiazepines (lorazepam or diazepam) or to second-line antiepileptic drugs (phenytoin/fosphenytoin, phenobarbital or valproate) is usually considered refractory and requires more aggressive treatment. The optimal treatment of refractory GCSE has not been defined, but patients should be treated in an intensive care unit, as artificial ventilation and haemodynamic support are required. Invasive haemodynamic monitoring is often necessary and EEG monitoring is essential. The drug treatment of refractory GCSE involves general anaesthesia with continuous intravenous anaesthetics given in doses that abolish all clinical and electrographic epileptic activity, often requiring sedation to the point of burst suppression on the EEG. Barbiturate anaesthetics, pentobarbital in the US and thiopental sodium in Europe and Australia, are the most frequently used agents and are highly effective for refractory GCSE both in children and adults. Indeed, they remain the only way to stop seizure activity with certainty in severely refractory cases. Other options are midazolam for adults and children and propofol for adults only. Regardless of the drug selected, intravenous fluids and vasopressors are usually required to treat hypotension. Once seizures have been controlled for 12–24 hours, continuous intravenous therapy should be gradually tapered off if the drug being administered is midazolam or propofol. Gradual tapering is probably not necessary with pentobarbital or thiopental sodium. Continuous EEG monitoring is required during high-dose treatment and while therapy is gradually withdrawn. 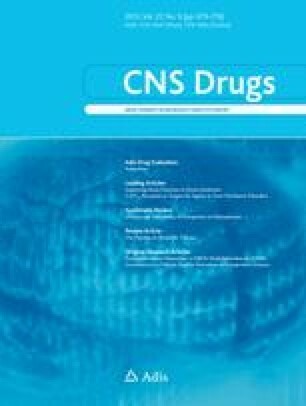 During withdrawal of anaesthetic therapy, intravenous phenytoin/fosphenytoin or valproate should be continued (these agents having been administered during earlier phases of GCSE) to ensure an adequate baseline of antiepileptic medication so as to prevent the recurrence of status epilepticus. If additional medication is needed, the most appropriate antiepileptic drugs are gabapentin for focal seizures and levetiracetam and topiramate for all seizure types, as these drugs can be started at high doses with a low risk of idiosyncratic reactions. Even with current best practice, mortality in patients who experience refractory GCSE is about 50% and only the minority return to their premorbid functional baseline. Therefore, new treatment options are urgently needed. The ideal new drug for refractory GCSE would be one that has the ability to stop seizures more effectively and safely than current drugs, and that has neuroprotective properties to prevent the brain damage and neurological morbidity caused by GCSE. The preparation of this manuscript was supported by internal departmental funds from the Department of Neurology, Kuopio University Hospital and Pediatric Research Centre, University of Tampere, Finland. The authors have no conflicts of interest that are directly relevant to the content of this review.